The BITM crew try to make sure that what we post has some sort of significance to the hip hop community..or least is meaningful to us. Which is why we don't post every rumor and music video that comes out and is trending at that particular moment. If we do post multimedia or newsworthy news (don't know how else I coulda said that)..we make sure we provide our individual pov..background..and perspective. Say what you want about Jimmy Fallon..but the dude loves hip hop. From his time hosting Late Night to being the new face of The Tonight Show..we have seen more hip hop with him than any other (white) late night show host. 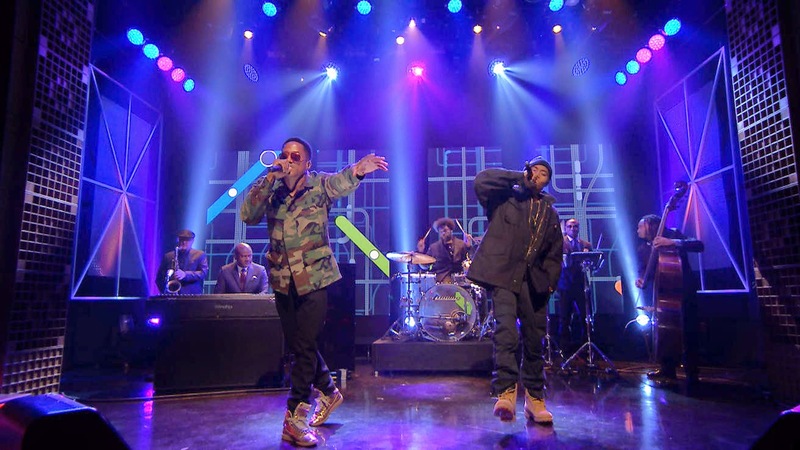 From interviews to musical guests..Fallon appears to genuinely appreciate hip hop. Even his now famous History of Hip Hop bit with Justin Timerlake take us on a musical timeline through some of the best (sometimes not) hip hop songs from the 80's to present. But his greatest contribution is giving the legendary Roots crew a chance to get some face time with America on a nightly basis. While they mostly just play background music..every now and then they get the opportunity to play with a musical guest. Gracias to my boy for sending me this link..featuring Nas doing a live version of The World Is Yours with Q-Tip and the Roots! To see a 90's noncommercial emcee doing a live track FROM the 90's on THE late night show is nothing less than amazing and exciting. At least that's how I feel..what uall think? Link to video below.